Zach Stevens stretches for the wall to win an epic 100 breaststroke showdown at the 2013 CIF-SS Division 2 Finals at Riverside, CA. Stevens won with a time of 55.13, and became the first individual CIF champion in the history of Arroyo Grande swimming. Back to Back! 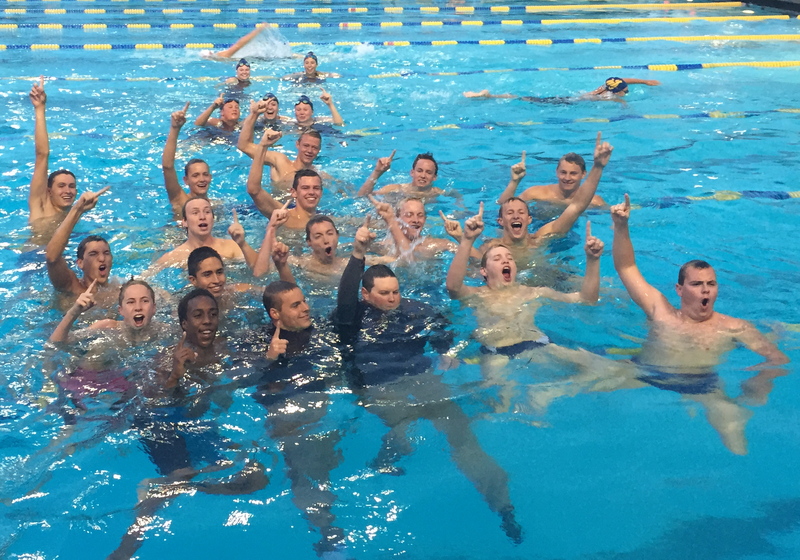 : The boys celebrate their 2nd straight undefeated league title in 2015. Broke the school record and earned All-American honors in the 400 free relay in a swim off. 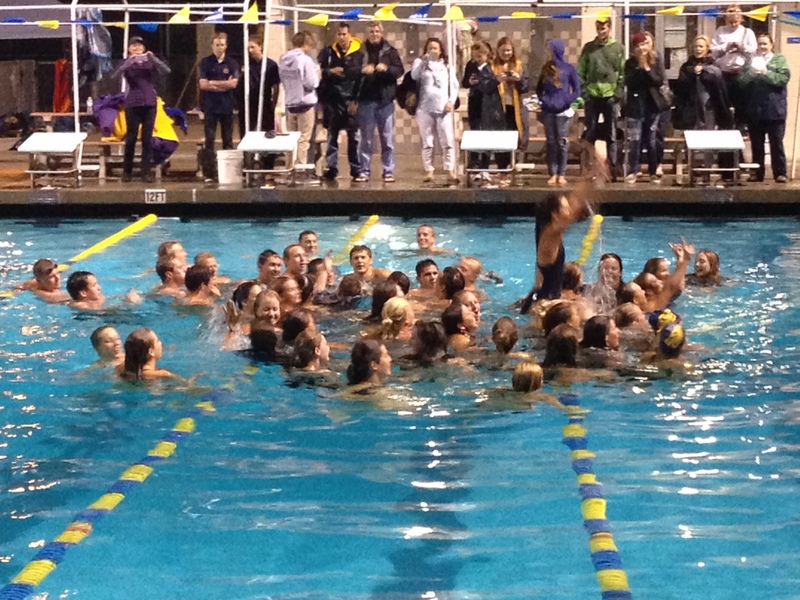 AG boys and girls celebrating their Pac-7 titles in 2014.